The completed project of the restoration of the Thap Cham - Da Lat train route will be submitted to the Prime Minister by the People’s Committee of Lam Dong Province in the not-too-distant future. The 84 km long railway from Thap Cham (Cham tower) in Phan Rang town, Ninh Thuan Province to Da Lat city in Lam Dong will be restored from 2007 to 2015. The total investment is VND5,000 billion (about US$312 million). The first 38 kilometers of Thap Cham – Da Lat train route from Thap Cham to Xom Gon was built in 1908 and the first train came into operation in 1916. Then, the railway continued to be prolonged to Krong Pha at the foot of Ngoan Muc mountain pass in Da Lat’s outskirt in 1917 and to the city in 1922. The Da Lat railway station was built in 1932 and put into use in 1936. There were two trains Da Lat – Nha Trang and Da Lat - Sai Gon a day. But this line was destroyed in the war and abandoned in the late 1960s. Seven kilometers of the track between Da Lat and Trai Mat has been reconstructed and operated for tourism purpose since 1997. Currently, the station is one of the attractive tourist destinations in Da Lat. 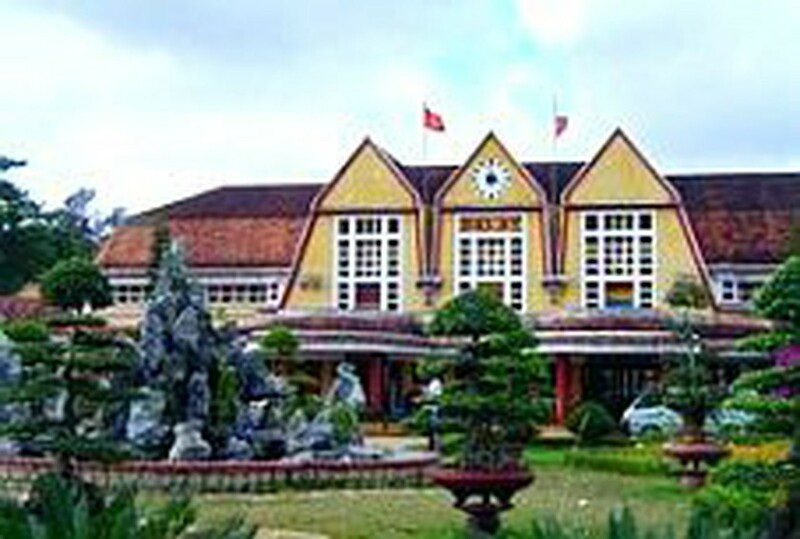 The Ministry of Culture and Information certified the Da Lat railway station as a national historical and cultural site in 2001. And it was also considered the nicest ancient railway station in all Indochina.